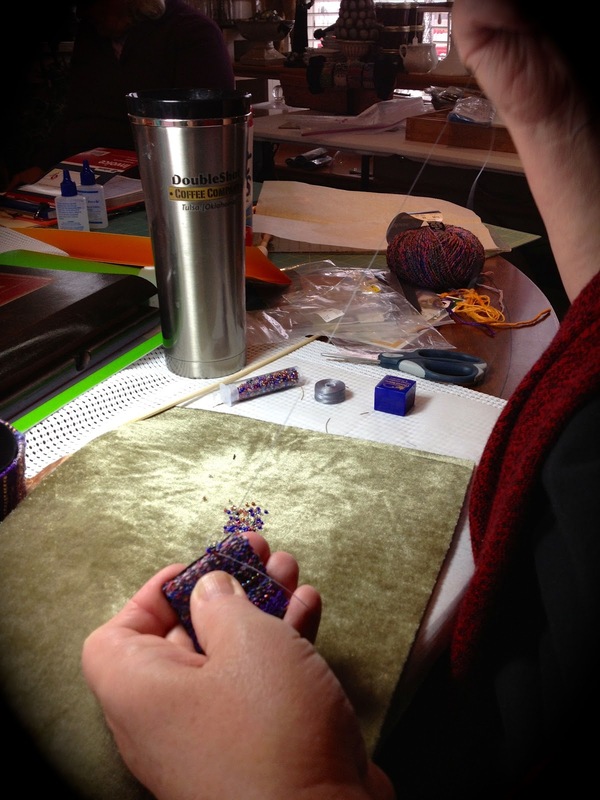 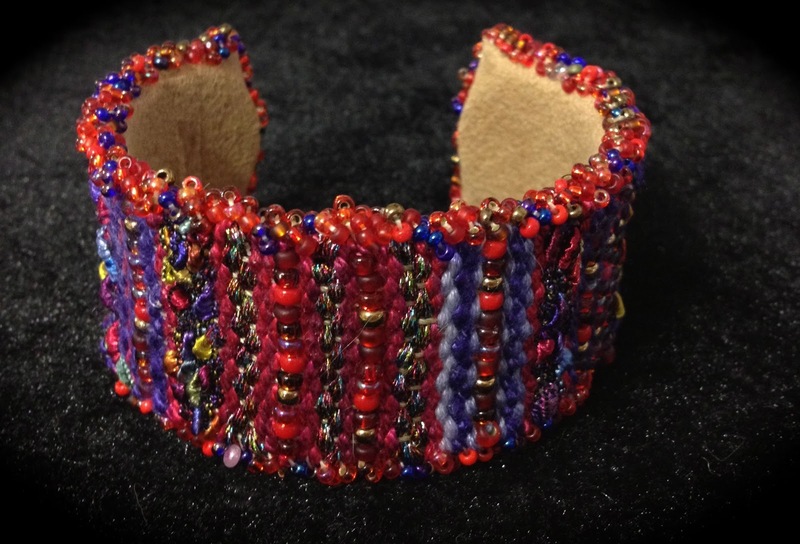 I have a few pictures from the Tapestry Bead Cuff class that I taught last weekend with help from Lynn Tedder. 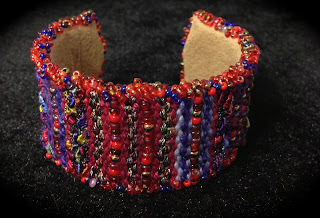 Everyone was able to weave a bracelet and pin and complete most of the finishing. 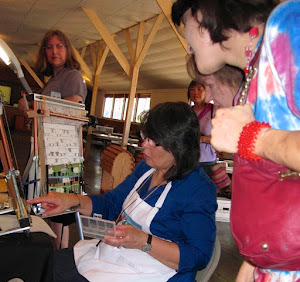 The results were all different and wonderful. I don't have pictures of all the projects yet but here are a few. 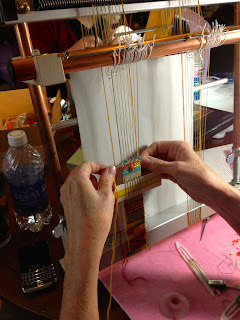 Since most of the people in the class are also interested in tapestry weaving we went over several weaving techniques in addition to the placement of the beads that could be incorporated into the cuffs like horizontal lines, pick and pick and basic hatching. 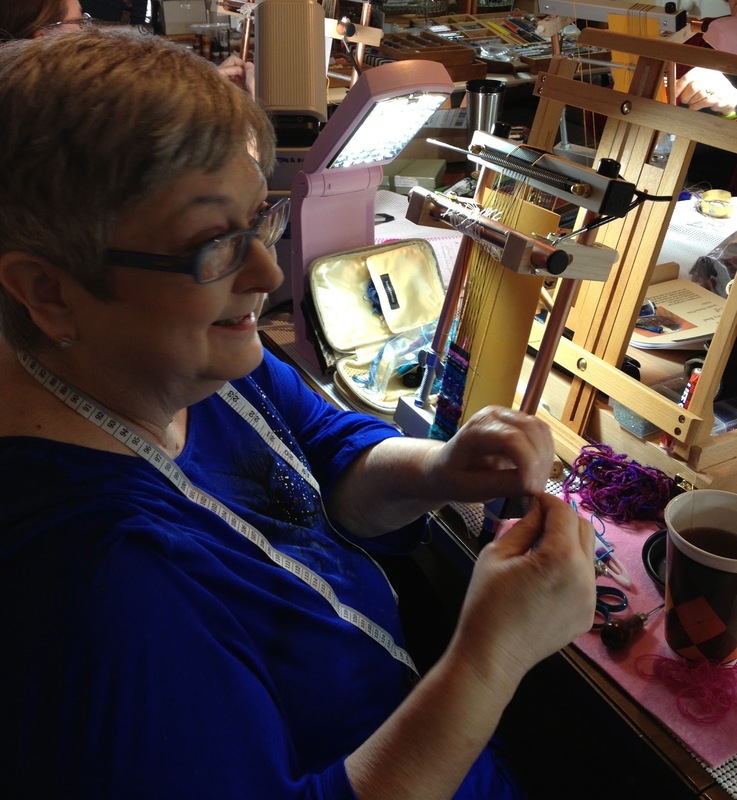 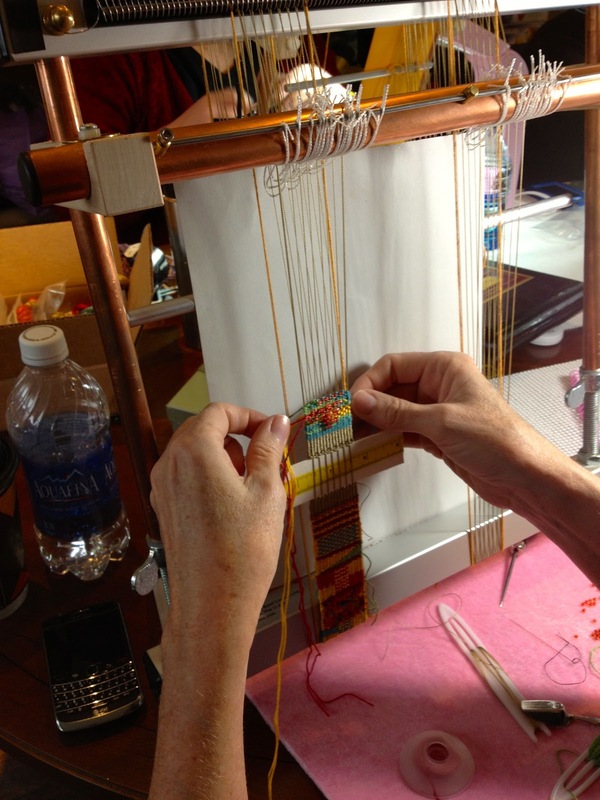 Here is Pam working on her new Lani Loom. 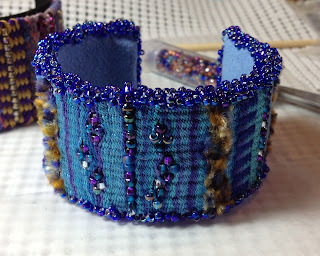 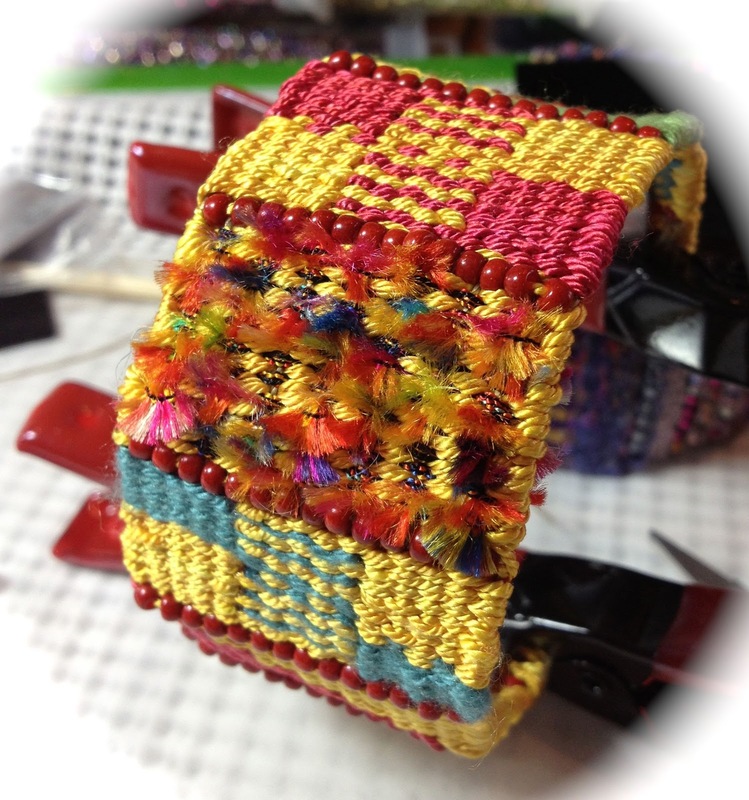 Here is a shot of Susan's bracelet on the loom with a nice addition of pick and pick and horizontal lines so far. In this one Becky has already completed a bracelet and is weaving a pin. To the right is her bracelet being attached to the cuff blank showing a nice hatching pattern. 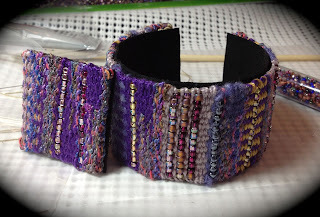 Here is Robin's bracelet during the finishing process, also with some nice hatching. 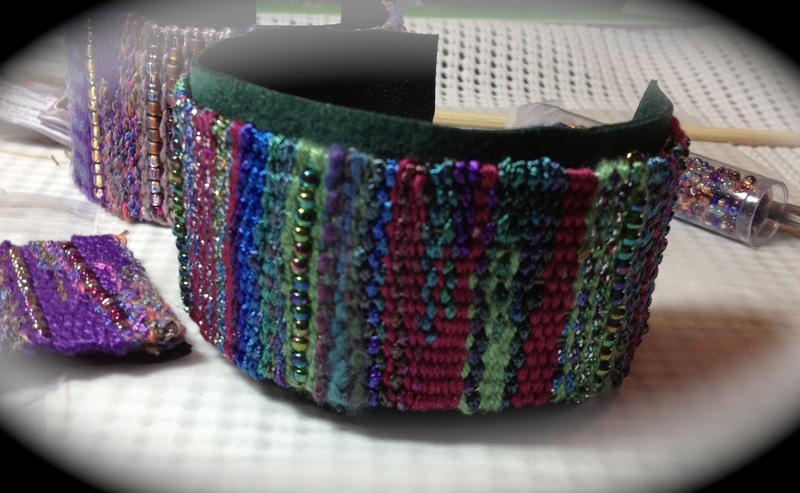 Following are a couple more of Robin's bracelets with the beaded edging complete. Here are Annie's projects off the loom. So pretty even without the beaded edge but I would also like a picture with the edging completed. 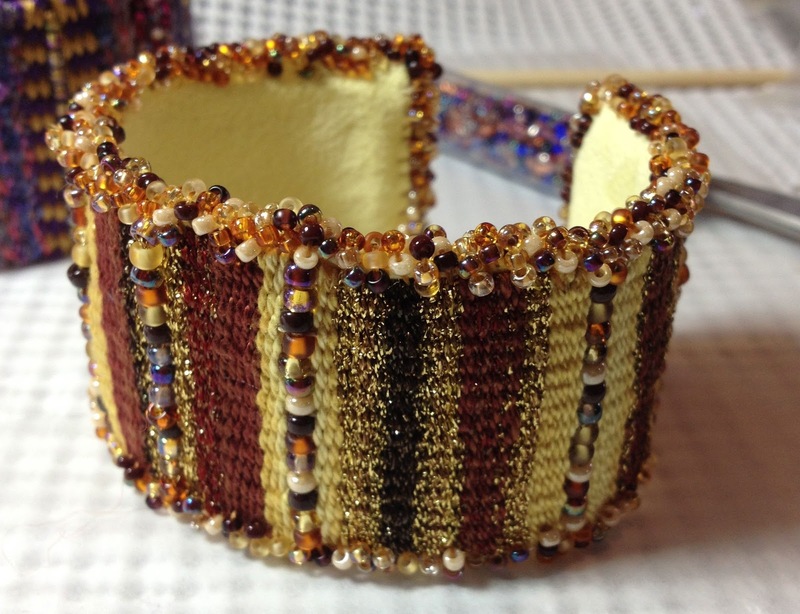 There is some time for putting that beaded edge onto the pin at the end of the day. 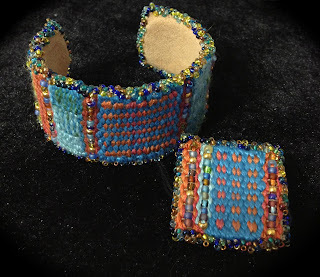 Finally, a couple of my samples for the class.